I don’t usually look at fan intros, as they are usually just re-edited junk, however, but it is edited to look so cool, that its much better than the official TV version. Just click the link, to see it, you have to see it to believe. 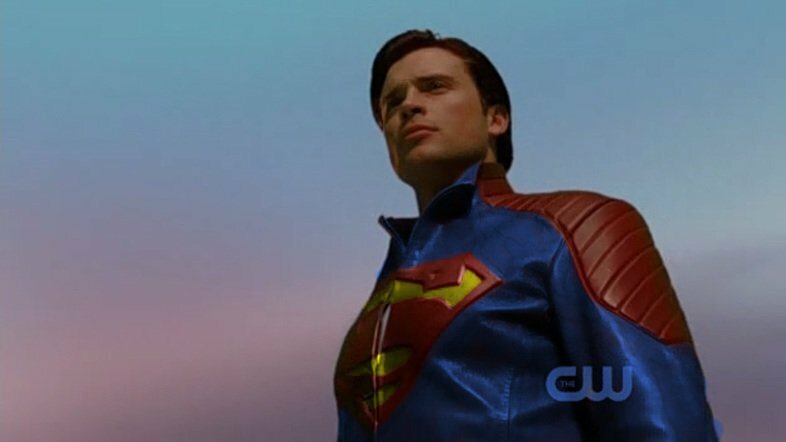 With the season premiere, Clark has the iconic Superman costume in his possession, in his loft at the Kent farm.and to see a picture of his Superman costume, click on this link: Smallville Season 10 Costume. The Superman Costume (for Season 10) from the movie “Superman Returns”. There’s a development between Lois and Clark in the premiere, Lois knows Clark’s secret. It makes the relationship alot deeper, and it shifts the power, because Lois knows and she has that confirmation. Somehow Lois always knew that they were the one and the same. It wasn’t two different people. She was magnetized to these two alter egos. And now she knows that they are the same person. She has to accept her destiny in being the person that helps him to fullfill that destiny of his, which is to be that superhero. 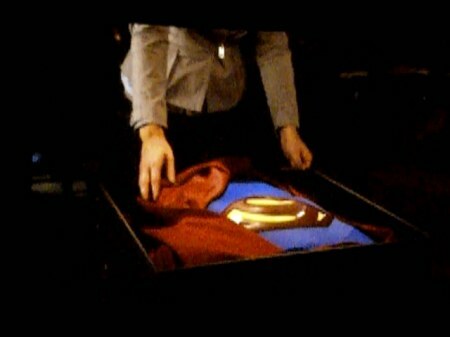 Lois finds the Superman costume, while rummaging through Clark’s stuff in his loft. Lois Lane does indeed find out Clark is the Blur and saves him from death after his fall at the end of Salvation. The suit used in Superman Returns will be used as Clark’s Superman suit and is featured in Lazarus, the Season premiere. Clark Kent (Tom Welling) and Jonathan Kent (John Schneider) at the Kent Farm. * Dr. Emil Hamilton (Alessandro Juliani) will also return in this episode. * An enemy from Clark’s past factors heavily into this story. 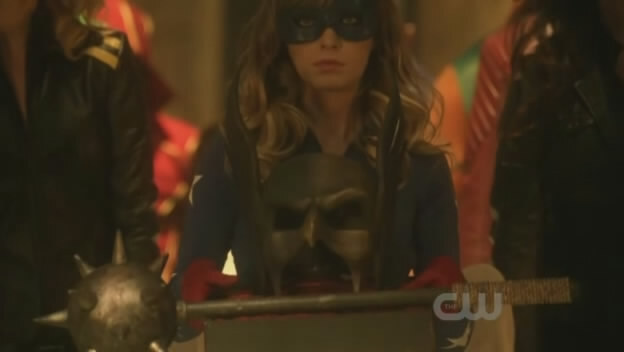 * There is a visit to the JSA brownstone in this episode. * A mysterious Skeleton Key is part of the episode. * Chances are good that we will find an answer to whether or not Lois figured outClark is The Blur in this episode. * Could Jonathan Kent (John Schneider) be part of a near-death experience for Clark? There is a scene involving a flashback from Shayera (portrayed by Sahar Biniaz), Carter Hall’s long-lost love, in which she stands in front of him in an 1800’s Chinese robe. This romantic scene turns into one where Shayera slaps Carter. Jessica Parker Kennedy will be returning in this episode as Plastique. Initially, the character that was originally planned to come in with the ability to teleport was supposed to be Nightshade of the Suicide Squad. Maybe she’ll show up later in the season instead. Lois has a scene in the desert with Carter Hall where she learns some things that makes her better understand the recent changes in her life. The DC comics character of Cat Grant (Keri Lynn Pratt) will be filling in for Lois (who is most likely missing), Cat Grant has a son. Catherine could very well become the third corner of a Lois/Clark/Cat love triangle. Deadshot from the Suicide Squad, may make an appearance. Kara will return looking for Kandor in this episode. Its probably most likely that this episode will explain the origins more of how Kara took the name of “Supergirl”. Oliver and Kara meet for the first time in a club. Most likely at the Ace of Clubs. Based on the title, she probably forges her Supergirl identity in this episode. And possibly establishes her secret identity of Linda Lee Danvers. Establishing her identity of Supergirl, may require the erasure of Kara Kent from the memory of everyone that knew her as Kara Kent. My guess is that would require the magical services of Zatanna, and that she would only be mentioned in the episode, if this even happens. Steve Byers will be portraying “Desaad”. According to Wikipedia, Desaad is one of the followers of Darkseid from the planet of Apokolips in Jack Kirby’s Fourth World meta-series. Michael Daingerfield will be portraying Gordon Godfrey. 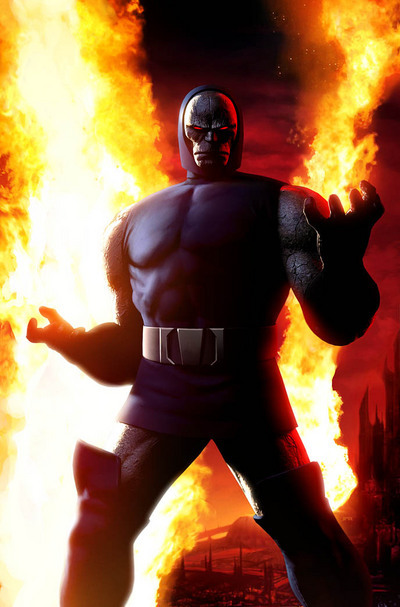 According to Wikipedia, is another Darkseid-related villain with powers of persuasion. 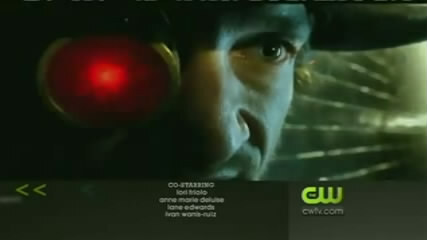 This will be Daingerfield’s second appearance on Smallville – he portrayed an assassin in 3.08 “Shattered”. 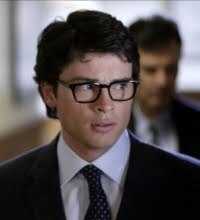 Smallville executive producer Kelly Souders tells that “by the end of episode 3, Oliver’s life is going to change forever.”TV Guide. This is the 200th episode of Smallville, Lois and Clark attend their High School Homecoming. There’s a Homecoming dance that Clark and Lois attend at Smallville High. Tom Welling has been spotted with a red and yellow Crows jacket. – Although Allison Mack won’t be in this episode, Chloe’s presence at Smallville High will not be overlooked or forgotten. Allie Bertram guest stars as a high school reporter, who runs along side the dynamic duo of Lois and Clark. 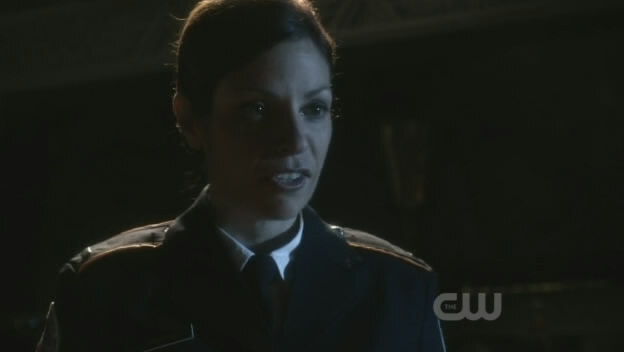 She may be the bearer of the Smallville Torch, her co-reporter is Tom. Allie and Tom sound Familiar. Brainiac will return as Brainiac 5 in this episode. Kelly Souders tells TV Guide that he is a “slippery fish with a questionable moral compass” despite being part of the Legion of Super-Heroes. This episode will feature the past, present and the future. The only episodes so far to show the future are Pandora and Salvation. Greg Arkan (aka Bugboy) will be returning, last seen in Episode 02 of the series, “Metamorphosis”. As with her cousin Chloe, even though Lois is now aware of Clark’s secret, she will not divulge to him that she knows just yet. 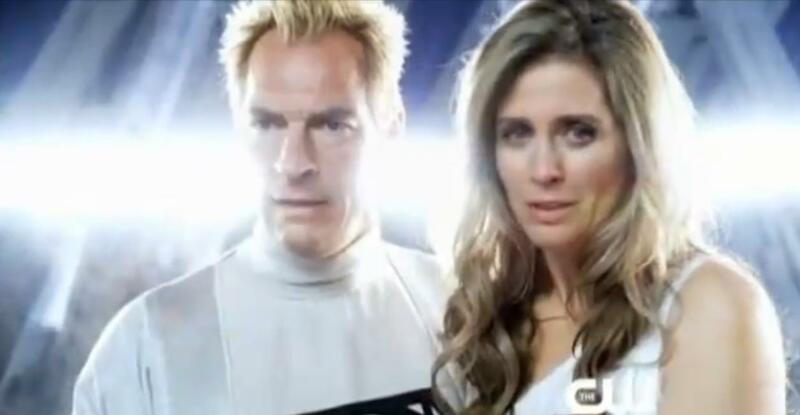 In the promotional reel she makes the comment “I’m the last to know.” while going through old Torch archives of Smallville High heroics which she then attributes to Clark. The first thing that might come to mind with this title might be the Isis Foundation from previous seasons; However, this has to do with the character of Isis. In the original TV series The Secrets of Isis starring Joanna Cameron, Isis was “a high school science teacher who gains the ability to call upon the powers of the goddess Isis after finding an Egyptian amulet during an archeological dig in Egypt.” There was an Isis tie-in comic from DC in the 1970’s and then the character – or a variation of her – was brought into DC continuity in the popular weekly series 52. Lois Lane (Erica Durance) is the one who portray Isis in the form of possession by the necklace she finds in Egypt. Michael Shanks returns as Hawkman in this episode. Former Smallville guest star, Erica Cerra has been cast in the fifth episode of season ten’s “Isis”, according to her agency website, it is my opinion that she will portray the spirit of Isis that possesses Lois in the episode, although this has not been confirmed. She played a sorority girl in the episode, 5.05 “Thirst”. Thanks to “OfficialThad” via Twitter for the heads up! Clarkis concerned aboutLois‘ safety so he diverts her away from covering theVigilante Registration Actby suggesting she cover another story. After he comes clean with her, an angry Lois tells him that she can take care of herself, but when a flat tire strands their car in the middle of nowhere, their plans take a turn for the worse and Lois ends up in serious danger. Meanwhile,Tesssearches for a cure forAlexander, who is rapidly aging. The GeneralandLucy Lanedecide to drop in onLoisandClarkfor a surprise Thanksgiving dinner. Clark and the General get off to a rocky start after Lois’ father bashes thesuperheroesand tells Clark he is trying to pass avigilante registration law. In an effort to stop the vigilante registration act from being passed,Rick Flaglies to Lucy in order to lure Clark away from the farm long enough for him to assassinate the General. Lois is torn between making her father proud and her love for Clark. Sam Lane, Lucy Lane will return. A major landmark/set of the show will make its final appearance. An ambush is a long-established military tactic, in which the aggressors (the ambushing force) use concealment to attack a passing enemy. An ambush predator is an animal which uses similar tactics to capture prey, without the difficulty and wasted energy of a chase. 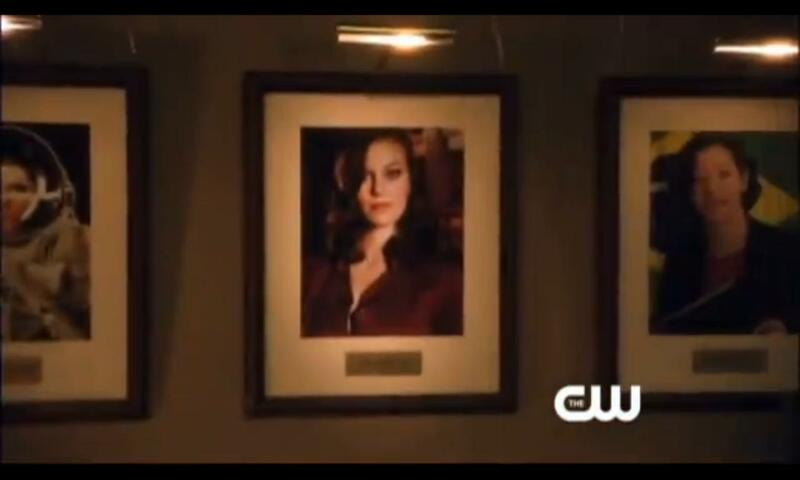 Tess Mercer on wall of portraits of Granny Goodness’s operatives. Teri Hatcher returns to the Superman franchise as Lois’s mother Ella Lane. Loisfinds a video made for her by her mother,Ella Lane (Teri Hatcher), before she died and after watching the tape, she makes a drastic decision about herrelationshipwithClarkthat takes her to the Fortress, where she comes face to face withJor-ElandLara. Meanwhile,Tesshas a nightmare involving herself as a child and a music box. This led her and Clark to an orphanage run byGranny Goodnesswho may not have the young girls’ best intentions in mind. In an effort to protect the rest of the team,Oliverdecides to register for theVigilante Registration Actto see what the government plans to do with the new law. As he suspected, it was a trap to lure superheroes to an undisclosed location where he is confined to a jail and subjected to a battery of brutal tests under the supervision of Col.Slade Wilson.Aquamanand his new wifeMerateam up withClarkto free Oliver.Loisis frustrated when Clark continues to push aside her offers to help the team and sets out to prove she can play with the big boys. Tess acquires a Kryptonian mirror-box (interdimensional interface) that once belonged to Lionel Luthor. When Clark accidentally activates the box, he’s transported to a parallel universe where Lionel found Clark in the cornfields instead of the Kents. In this universe, Clark Luthor (Ultraman) is a murderer (as Lionel raised him in his own image) and Lois is engaged to Oliver. Clark must be careful not to tip off Lionel that he’s not his son while trying to figure out how to get back to Earth where the “Clark Luthor” was transported in his place. Clark Luthor killed Lex in the mirror-universe. Oliver Queen was a land grabber in Smallville, acquiring property after property, taking property away from farmers to mine the land for meteor rock (Kryptonite), making him an enemy to the residents of Smallville. Apparently, the Kent Farm was one of those properties acquired by Oliver Queen, and the mirror versions of Clark and Tess, had an affair there, in the barn loft, even though Clark was her brother through adoption by Lionel Luthor. The United States Army personnel, as the VRA, upgrade the status of the heroes to felons. 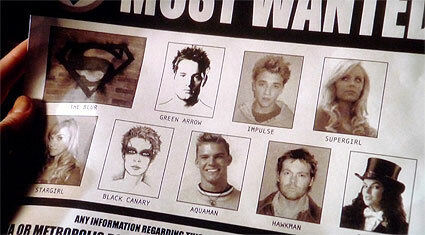 Posting wanted posters, with the faces of Supergirl, Aquaman Zantanna and a sketch of Black Canary, whose faces are known in the comics as superheroes anyways, and Green Arrow (Oliver Queen), Stargirl, Hawkman without their mask. Or in the case of Green Arrow, sunglasses which take the place of a mask. And the “S” symbol for the Blur. 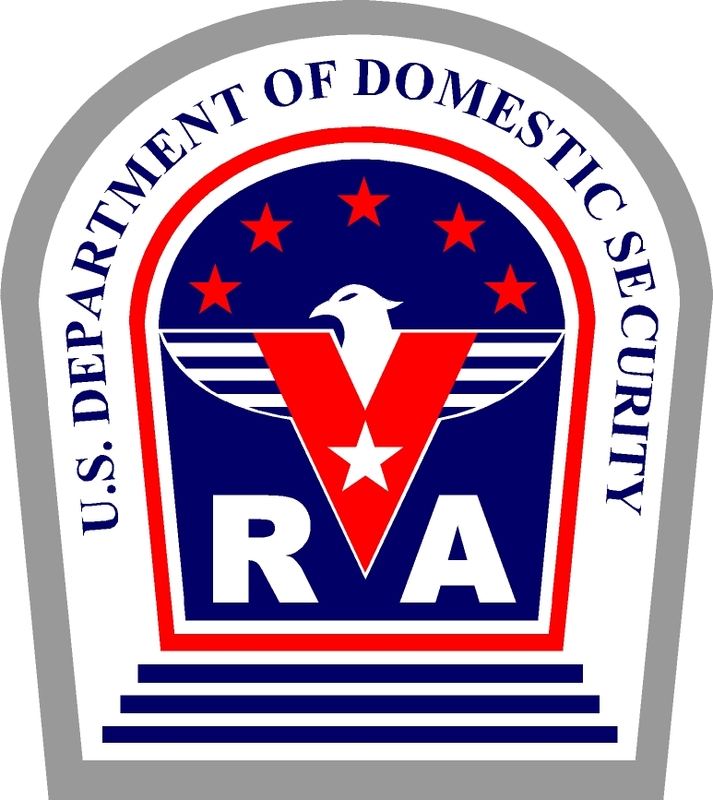 The VRA has identified three civilians suspected of aiding the heroes, Lois Lane, Emil Hamilton and Tess Mercer. The VRA personnel seem very much like the Nazis of World War II. They know Clark is the Blur. Hawkman saves Lois Lane, this is Hawkman’s last save. Carter Hall, Deathstroke and Black Canary return in this episode. Originally, in 1938, in Action Comics, Clark worked for the Daily Star (based on the Cleveland Daily Star), it was changed in 1940, to the Daily Planet, to eliminate the possibility of being sued by the Cleveland Daily Star. Writer: Jordan Hawley Director: Morgan Beggs Guest Stars: Allison Mack (Chloe), Alaina Huffman (Black Canary), Ted Whitall (Rick Flag), Bradley Stryker (Deadshot). 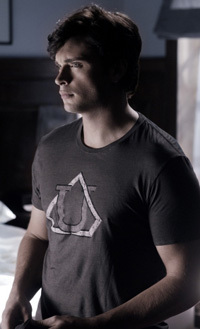 CHLOE SULLIVAN RETURNS TO SMALLVILLE – Clark (Tom Welling), Oliver (Justin Hartley), Lois (Erica Durance) and Dinah (guest star Alaina Huffman) are released by the VRA after being captured at Hawkman’s funeral but each of them have flashbacks of Chloe (Allison Mack) holding them against their will. When Chloe returns, Dinah warns the others that Chloe may now be a traitor. Oliver dismisses her concerns but Clark is unsure if he can trust Chloe after she disappeared without an explanation. Clark apparently loses his powers for some unknown reason. I think Chloe’s working for the Suicide Squad lead by the Rick Flag. She kind of took Amanda Waller’s position, that is why she had to erase all trace of her own existence. This later is confirmed by Martha Kent in Beacon, as Martha was watching Chloe too, not just Clark. Her job as coodinating missions and information hacker is the same as when she was at Watchtower, except she now works for the Rick Flag, as opposed to her working for Clark and the Justice League. At least, until the end of the episode. This story is just like The MATRIX. The Blur’s season 9 costume was influenced by The MATRIX, thats why they didn’t do a story like this last year. Now Clark is dressed like Martha Jones, a Dr. Who sidekick. Alexander Luthor – A bridge between the 2 universes? Written by Don Whitehead and Holly Henderson Director: Michael Rohl Guest Stars: Allison Mack (Chloe), Annette O’Toole (Martha Kent), John Glover (Lionel Luthor), Lucas Grabeel (Alexander). 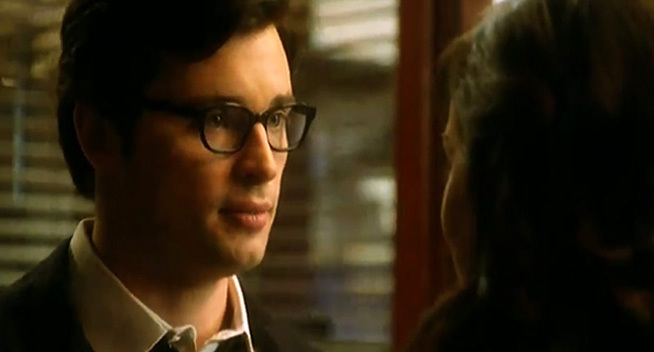 MARTHA KENT COMES HOME – Clark (Tom Welling) is surprised to see Martha (Annette O’Toole) on the news speaking at a pro-vigilante rally. 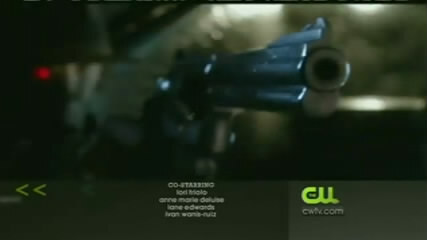 However, surprise quickly turns to horror when he and Lois (Erica Durance) watch as Martha gets shot on national television. Meanwhile, Lionel (John Glover) reveals himself to the world and reclaims LuthorCorp from Tess (Cassidy Freeman) and Oliver (Justin Hartley). Lois and Chloe (Allison Mack) decide to cheer Clark up by showing him videos from thousands of vigilante supporters professing their support for The Blur. 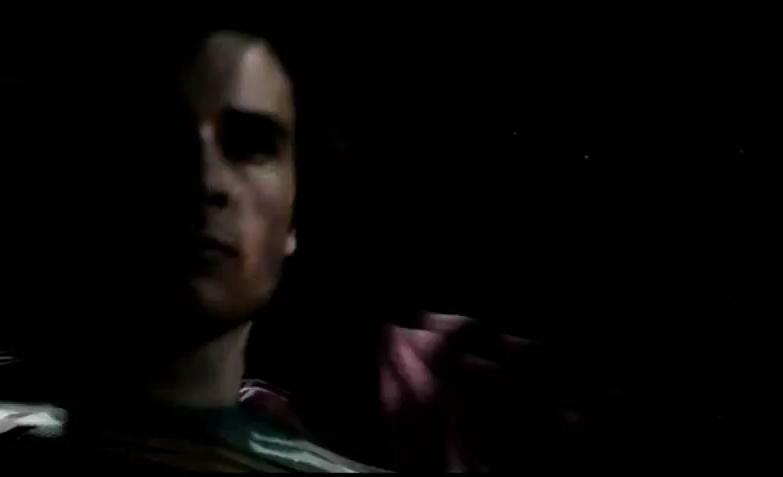 Videos were created and submitted by actual Smallville fans. Clark is at an emotional crossroads, with Metropolis divided by a clash between supporters of the government’s Vigilante Registration Act and opposing rallies to generate support for indispensable heroes like The Blur. Clark’s friends assure him that he is, indeed, making a difference in his crime-fighting role as The Blur, and to prove their point, they show him videos from the Internet in which ordinary citizens express what The Blur means to them, what it means to be a hero. Lionel’s return to our world doesn’t stay unknown for long. Lionel quickly gets back to the swing of things, sharing scenes with Oliver, Martha, Chloe, and Clark. When “Alexander” is found, he will have a full head of hair again. Lucas Grabeel will protray the character of “Alexander”. Lionel (from the mirror universe) uses the phrase “Ms. Sullivan”, while talking to Chloe. I expect a surprise that hasn’t been seen in years on Smallville, the Jor-El (artificial intelligence version based on downloaded brainwaves of Jor-El) of the Fortress, taking possession of the mirror-Lionel Luthor’s body. Complete with Kryptonian superpowers. In the Crisis on Infinite Earth limited edition, the original DC Multiverse was collapsed into a singular universe. A character named “Alexander Luthor” was from Earth-Three, his body was composed of both matter and antimatter, and he had interdimensional powers, especially seen during Infinite Crisis. In Smallville, there is the clone named Alexander Luthor, who aged rapidly to adulthood, like the Alexander of Earth-Three in the comics. The Earth-Three in the comics is a mirror universe, in which the superheroes and supervillains of the primary reality, have these counterparts of themselves, that are polar opposites. It is possible that this Cadmus clone is the Smallville counterpart or version of the Alexander Luthor seen in Crisis on Infinite Earths and Infinite Crisis. 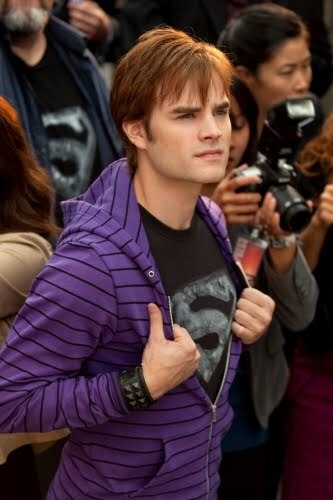 It is just his backstory (origin) that is changed, instead of being the son of the Lex Luthor of Earth-Three, he is a clone of Lex Luthor created in Cadmus labs (Lx 15), in the primary Smallville universe/timeline. 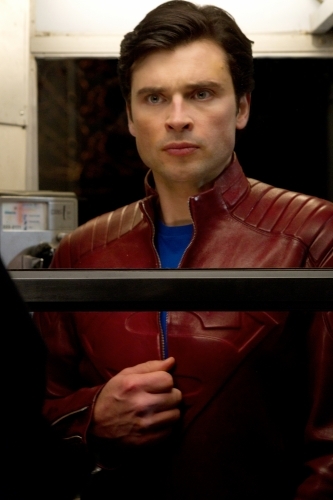 In Smallville, it is Lionel Luthor that is from the mirror universe, instead. Unless the mirror-Lionel had already been to the primary Smallville reality, as he had the Kryptonian mirror-box (a dimensional interface device) in his possession. The mirror-Lionel may have had something to do with Cadmus Labs, using his own DNA, to clone his Lex Luthor, (Lx 15) that had been killed by Ultraman of the mirror-universe. The mirror-universe stuff is very similar to the mirror universe in Star Trek and Star Trek Deep Space Nine. CHLOE AND OLIVER ARE KIDNAPPED – Chloe (Allison Mack) and Oliver (Justin Hartley) are mistaken for FBI agents investigating Desaad’s (guest star Steve Byers) recent string of murders and the pair are kidnapped by Desaad’s minions. Desaad tries to infect Chloe with the darkness. 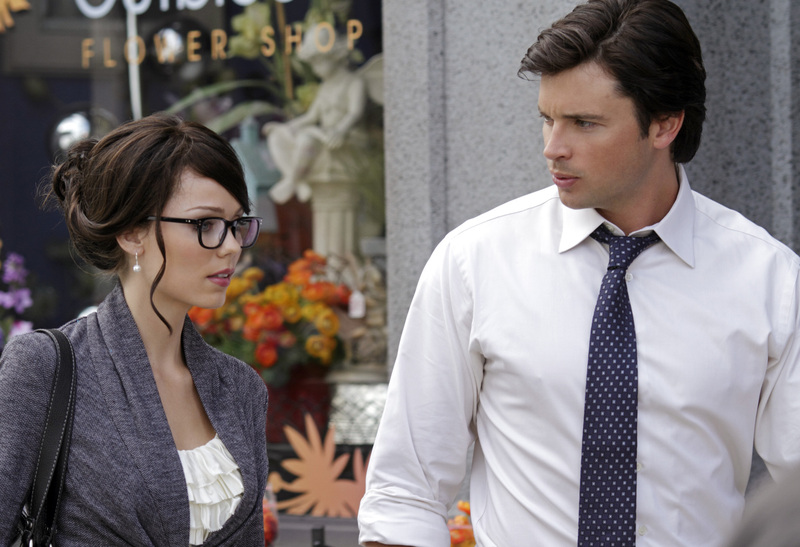 Meanwhile, Lois (Erica Durance) tells Clark (Tom Welling) he needs to be more careful with his identity and suggest a disguise. 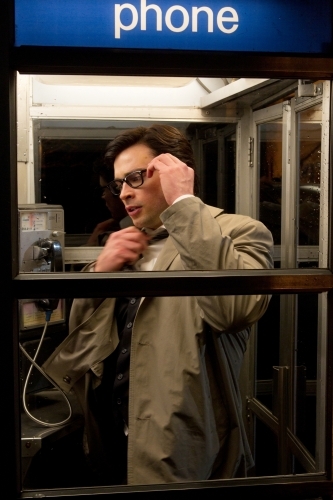 As for that undercover stuff, Clark may be wearing glasses soon. Lois is playing a much larger role in the dual identity thing that ultimately becomes a huge part of Clark’s future. With a title like “Masquerade”, this may be the perfect time. Lois celebrates her bachelorette party coming up. In this episode, she finds herself in the aftermath of this bachelorette party, where everything kind of goes blank. She undercover in a very sassy outfit, with a very surprising partner. 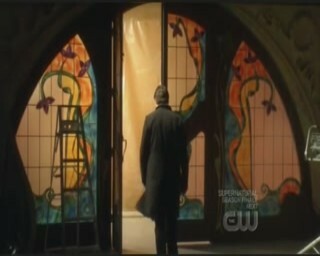 Lionel Luthor (John Glover) visits his counterpart’s burial site, he stares at ‘his’ tombstone. Alexander Luthor is developing his Project Scion related superpowers. He is evolving into the modern Superboy, Conner Kent. There’s a story element in this episode that borrows heavily from a major Superman-related comics storyline from the past two decades. * The Alexander from Earth-Three that appeared in Crisis on Infinite Earths and Final Crisis. * The cloned body Lex Luthor cloned of himself, around his brain. This clone looked kind of like Lionel Luthor, a decade before Smallville aired on TV. * Conner Kent, the modern Superboy. A hybrid clone, has DNA of Superman and Lex Luthor (basically his parents). 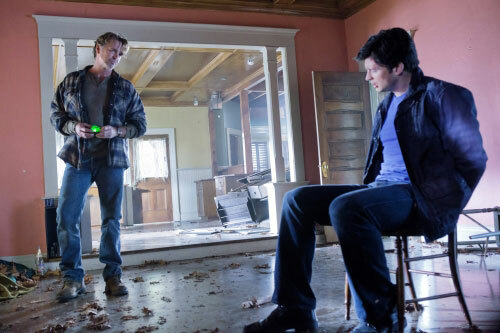 Clark tied to a chair, and an angry Jonathan Kent holding green K (mirror universe). Clark is shocked to find a mirror box in the barn. Clark Luthor surprises him and sends Clark Kent back to the alternate reality where Clark runs into a very angry Jonathan Kent. Meanwhile, back in our reality, Clark Luthor visits Tess and tells if she doesn’t side with him he’ll kill her. Lois asks Emil to help her bring Clark back. Update: Jonathan Kent (John Schneider) (from the mirror universe) visits the Kent Farm in Smallville. 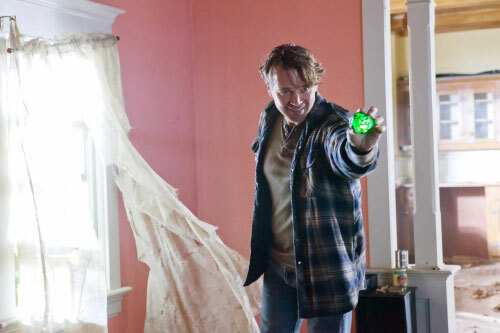 Jonathan Kent (from mirror universe) with green Kryptonite. Jonathan Kent returns to the Kent Farm. Sounds like a return to the alternate world of Clark Luthor (Earth-2, Lionel’s World) from “Luthor”. Similar to Lionel’s return to LuthorCorp in Beacon. Written By: Geoff Johns Director: Tom Welling Guest Starring: Eric Martsolf (Booster Gold), Jaren Brandt Bartlett (Jaime Reyes/Blue Beetle), Sebastian Spence (Ted Kord, the original Blue Beetle). After everything that happened with the VRA, Lois tells Clark it’s best to make “Clark Kent” forgettable and awkward so people don’t suspect he’s The Blur. However, the two are stunned when a fame-hungry superhero from the future, Booster Gold, sweeps into town and begins making saves and posing for press ops, completely winning over the city of Metropolis. Booster begins his campaign to take The Blur’s place as the “World’s Greatest Superhero” and tries to charm Lois into writing a story about him, but she’s not having his antics and begins her own campaign for The Blur. 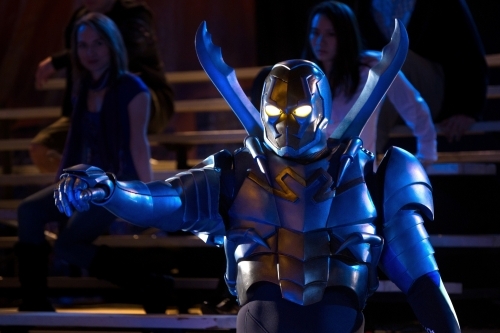 During one of Booster’s saves, an alien weapon in the form of a scarab falls from a truck and fuses itself to a boy named Jaime Reyes, turning him into the Blue Beetle. Unfortunately, Jaime is unable to control the suit and Blue Beetle starts attacking Metropolis. According to TV Guide and their interview with Geoff Johns, the hugely popular comic book writer who penned the episode… “Get ready, there’s a new golden boy in town. 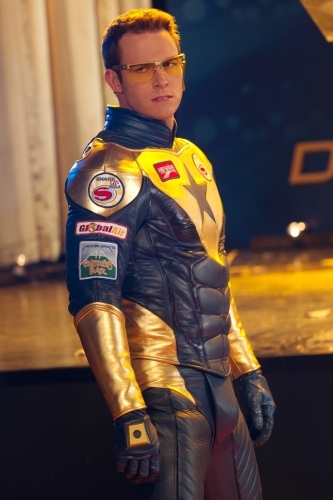 Booster Gold, a glory-seeking hero from the future. The episode takes place in Booster’s very early stages where he’s at his conceited best, where he believes he can do whatever he wants. He’s gonna stay for the photo op and bask in the glory of his heroic efforts. 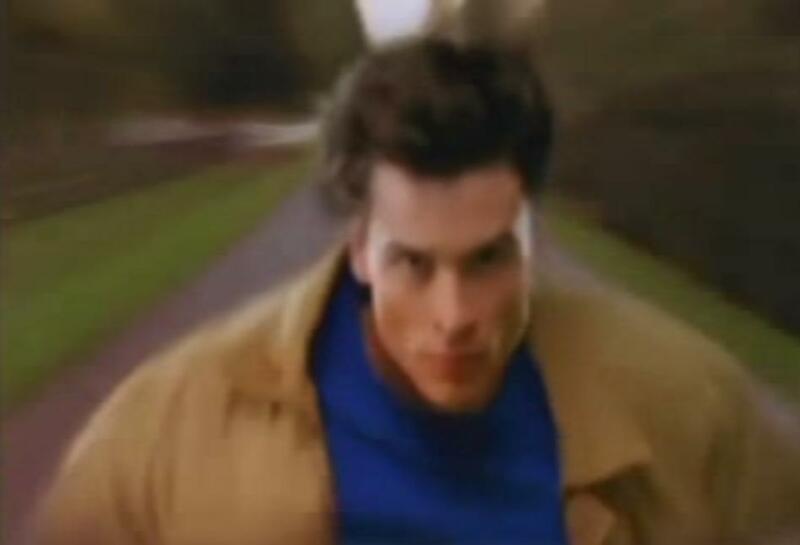 Booster’s behavior shocks Clark (Tom Welling, who also directed this episode), who is struggling to create a more mild-mannered secret identity to balance out his life as the Blur. He wants to stand in the back and not be a glory hound. They are completely opposites of one another. Which isn’t to say Clark doesn’t leanr something from his newest super friend. The one thing Booster does prove to Clark is that people want to look up to this guy. They want to be inspired, and no one’s doing it for them. Booster always shows up at the last second to make a dramatic rescue, which is really suspect. 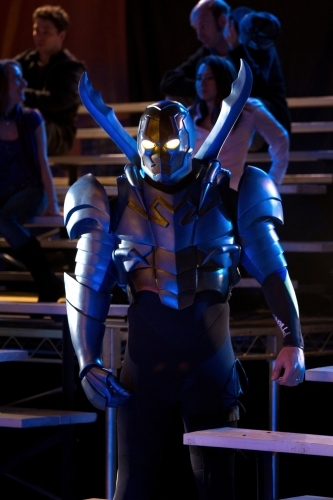 One of those people he saves is teenager Maime Reyes, who has not yet, but will in this episode, become the Blue Beetle. The episode shows his origin story. A mysterious high-tech scarab turns him into a super-powered arsenal. Although Booster Gold and Blue Beetle are buddies in the comics, this story will initially show them at odds. This is the first time the scarab comes to Jaime, so it creates a bulkier, more dangerous armor. Ultimately he’ll gain more control over the scarab and it will become more friendly looking.” End of Excerpt from TV Guide. Clark meets the Booster Gold and Blue Beetle (Jaime Reyes) team. 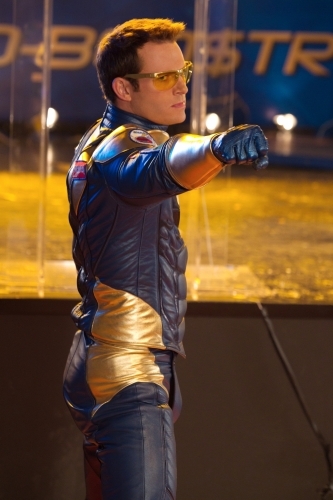 Clark will notice the Legion ring on Booster Gold’s finger, and ask if Booster is a Legionnaire. “No, but they’re really good friends of mine,” Booster tells him. Featuring the origin of the Jaime Reyes version of Blue Beetle, Booster’s first meeting with Clark and Lois, and a cameo by Ted Kord from “Kord Industries”. One story element involves Clark learning how to be a little more “mild-mannered” when he’s not being Super. Michael Jon Carter was from the Gotham City of the 25th century. He took a job as a security guard at the Metropolis Space Museum, where he began to study displays about superheroes and villains from the past, particularly the 21st century. With the help of a security robot named Skeets, Michael stole devices from the museum displays, including a Legion of Super-Heroes flight ring and Brainiac 5’s force field device. He used the temporal abilities of the ring, to travel to the 21st century, intent on becoming a superhero and forming a corporation based around himself to make a comfortable living. As such, he is a shameless self-promoter whose obsession with fame and wealth irritates other heroes. 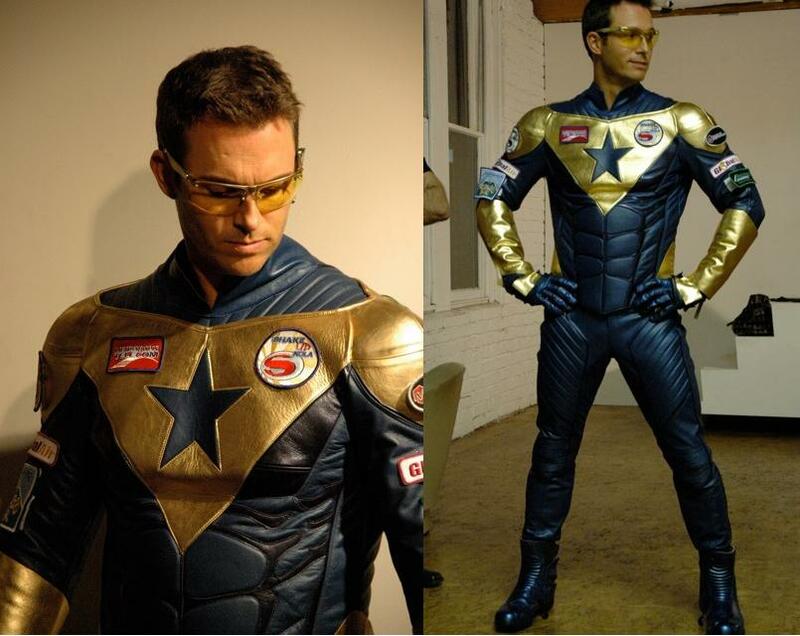 Booster Gold is based in Metropolis, home of the Blur. Booster Gold is branded as a criminal in his time for “hijacking historical records”. Booster searches for Jaime Reyes, the new Blue Beetle. 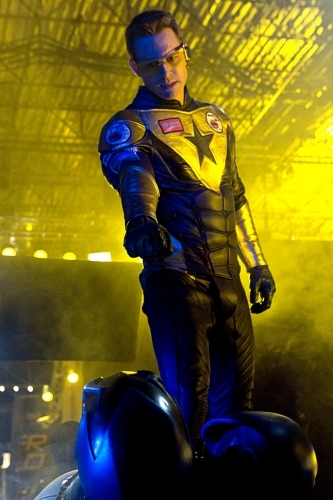 Robotic sidekick to Booster Gold, also from the future. While Booster Gold has no superhuman abilities (he relies on equipment), he is an excellent athlete. He has also demonstrated enough will power to use his Legion flight ring at range, a feat few have been able to demonstrate. 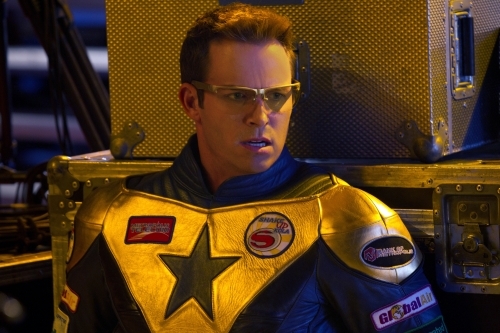 Booster Gold gained his “powers” from the artifacts he stole from a museum in the future. A power suit grants him super strength and wrist blasters allow him to project force blasts. The wrist blasters contain the primary controls and power supply for the suit as well as communications equipment to monitor communications frequencies. 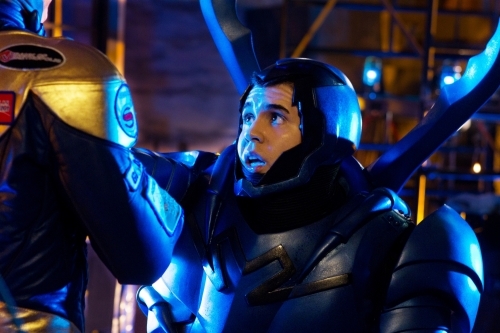 Circuitry from a force field belt that is incorporated into his costume allows Booster to resist physical and energy attacks, and he uses the force field to repel objects with great force and generate a breathable self-contained environment. The force field centers on Booster’s body, but can expand and even project outward. The costume’s goggles have infrared and magnifying capabilities as well. In addition to the powers from his suit, Booster can fly thanks to a Legion of Super-Heroes flight ring. Booster can also absorb mass and eject it either in its original form or as a melted mass, although this depletes his force field for a time afterward. 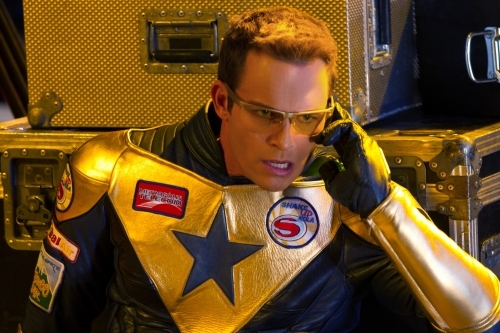 Booster Gold is a glory hound, who seeks constant media attention. He likes to market himself as a superhero, using the media networks, probably due to some inferiority complex that he would otherwise have. He basically wants to feel important. Tess learns that General Slade was found unconscious on a street corner, proof that someone has gained access to the Phantom Zone’s escape portal and sent him back. 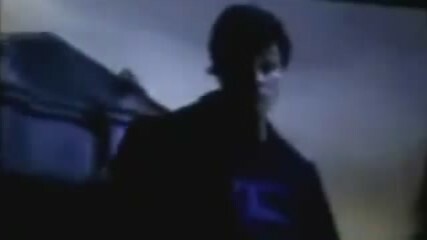 Clark decides to return to the exiled land to make sure other phantoms are not fleeing and is furious when Oliver tricks Clark into taking him along. With Clark’s powers gone, the two are immediately captured by the Zoners who take them to their new leader, Zod, who is thirsting for revenge on Clark for banishing him to this Kryptonian jail. Meanwhile, Lois learns Clark trusted Tess with a secret, but didn’t tell Lois. 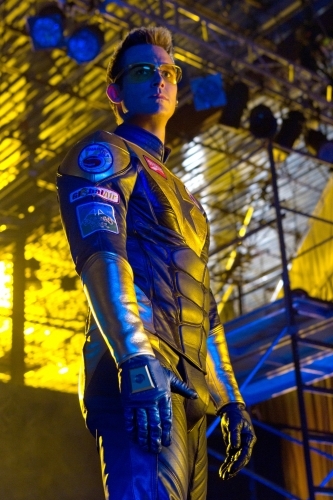 Callum Blue returns to reprise his role as General Zod. 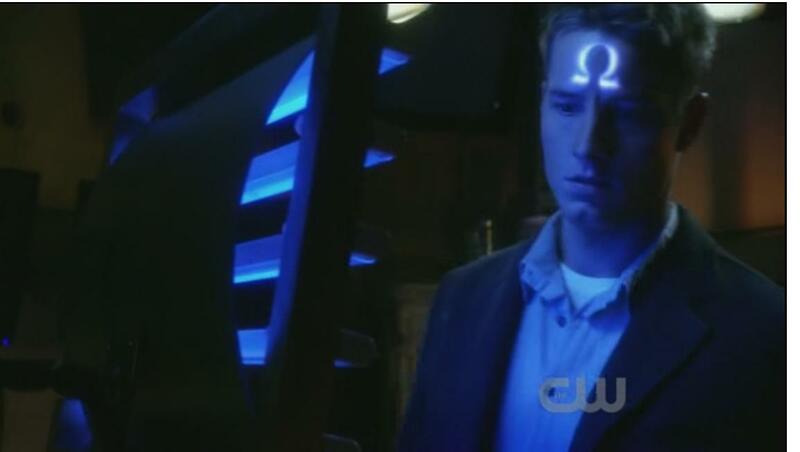 This episode resolves the omega symbol on Oliver Queen’s (Justin Hartley) forehead, and his having been corrupt by the darkness. This is a Lois-based episode. 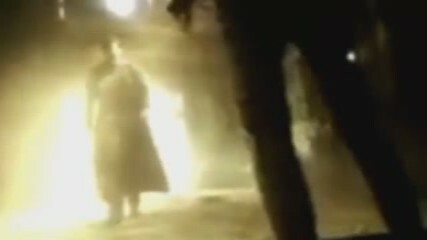 Clark takes Lois to the Fortress to get Jor-El blessing for their marriage. Jor-El bestows a unique wedding gift on the couple – he gives Lois Clark’s super powers so she can see what it’s like to be him for a day. Unfortunately, the Toyman has returned to Metropolis, so Lois must go up against the notorious villain instead of Clark. Meanwhile, Oliver searches for the Bow of Orion, which he believes will remove the Omega symbol from his skull, and runs into Kara, who is also on a mission to stop Darkseid. Lois gets to feel what Superman feels. You get to see part of the role that she plays in Clark Kent’s destiny, that’s kind of new territory. The corrupted Oliver Queen, branded with the Omega symbol on forehead. 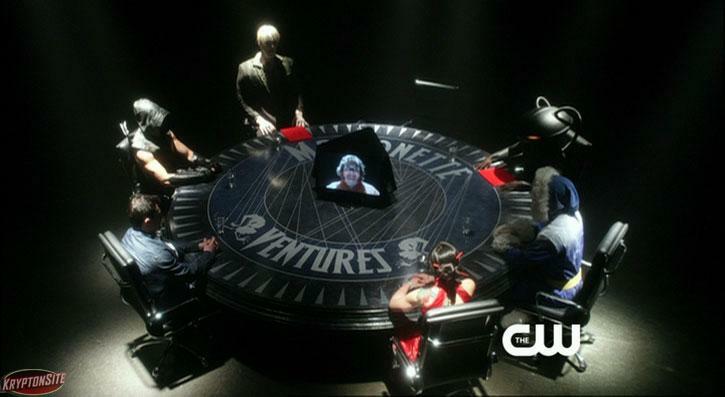 The table says “Marionette Ventures”. This is a group of villains put together by the Toyman. It looks more like they should be the Legion of Doom. There were 13 members of the Legion of Doom. There are 7 in this group, if you count the Toyman on the monitor screen. On the left side of the table are Solomon Grundy, Dark Archer and Metallo. On the right side of the table are Black Manta, Captain Cold and Roulette. And on the monitor screen, is the Toyman. Marionette Ventures make a puppet out of Stargirl, early on, and then the superpowered Lois Lane. Toyman has Lois try to kill Clark Kent, who Jor-El made lose his powers to Lois. 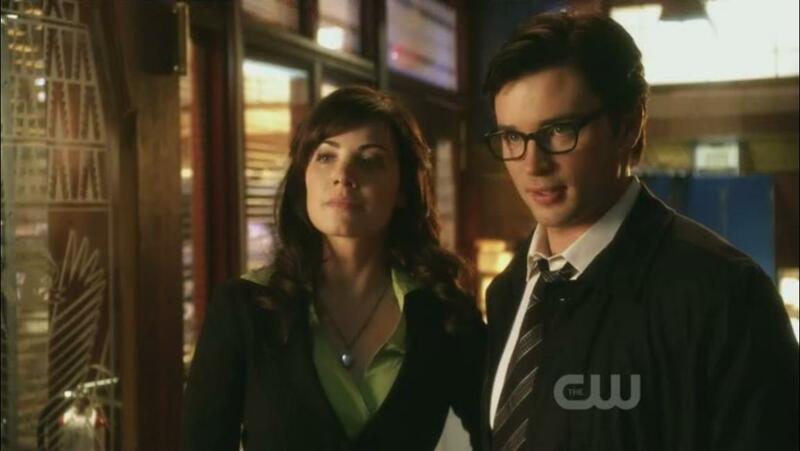 Clark Kent (wearing glasses) and Lois Lane-Kent. 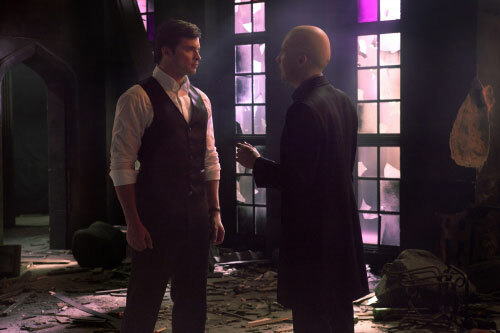 Lex Luthor runs into Clark at the ruins of Luthor Mansion. Superman flying at high attitude. The story of Clark Kent culminates in this epic two-hour series finale as Clark takes the last step to becoming the Man of Steel. With surprise guest appearances, nods to the first few seasons of the series and the return of Lex Luthor, this final episode wraps up a decade-long story following one’s man’s journey to becoming the world’s greatest superhero. 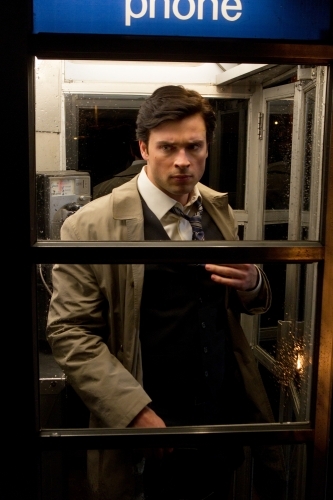 Clark (Tom Welling) preparing to become “Superman”. 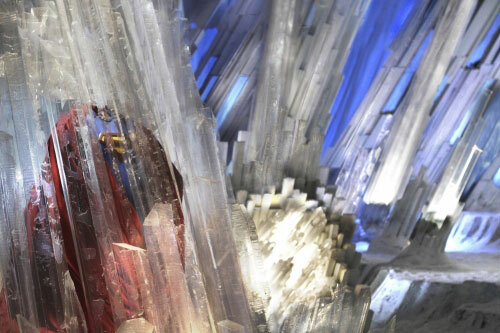 The Superman suit is in the Kryptonian Fortress of Solitude, in the arctic. Clark vs Lex Luthor, and key interactions between these two characters, makes Clark become Superman. In the Fortress of Solitude, Clark puts the Superman suit on, and flies off. The audience is left with the presumption, that Clark has gone off to become Superman. 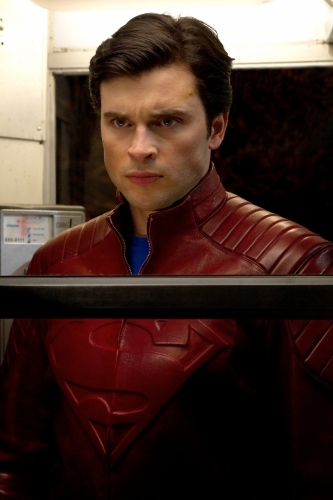 Superman (Tom Welling) in costume. The ‘Man of Steel’ finally puts on the spandex suit and flies like he means it! Clark may be facing pressure from his inability to fly. Giving Clark his determination to take the ‘Leap of Faith’ from the roof of the Daily Planet, off the side of the building. This would be similar to Major Zod’s ‘Leap of Faith’ off the roof of the Daily Planet building during season 9. 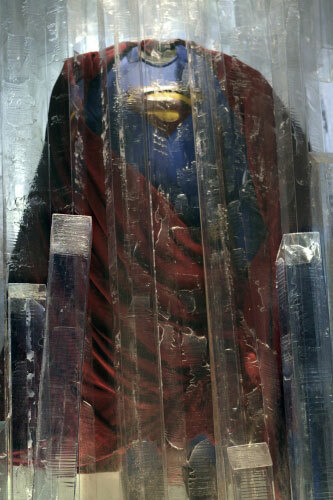 End Scene: The original plan was that Clark goes to the Fortress of Solitude, and becomes ‘Superman’. He leaves the Fortress and flies off, into the sky. However, the producers, were considering certain action scenes, resulting in an action packed 2 hour last episode. 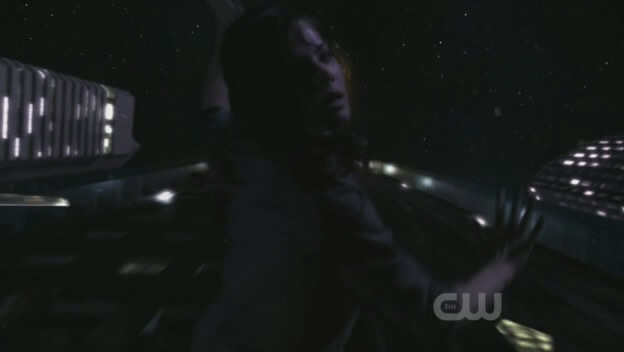 Unfortunately, Kristin Kreuk (Lana Lang), will definitely not be coming back. 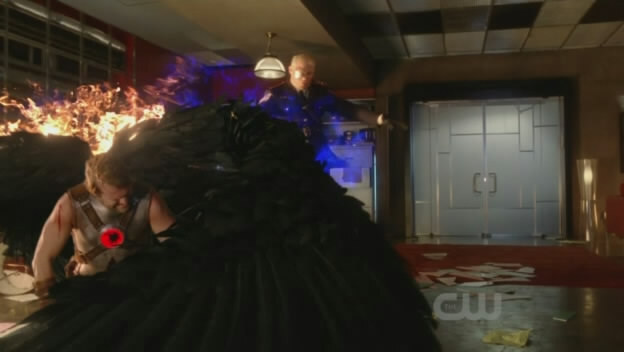 However, this should still be one of the most action packed episodes of Smallville! 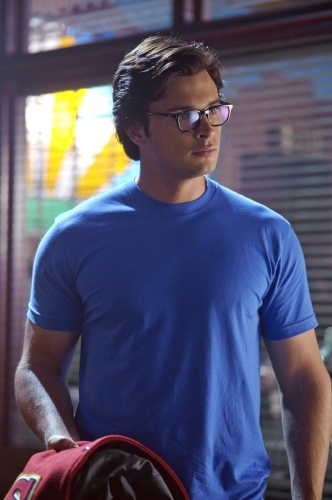 Clark (Tom Welling) finally becomes “Superman”! There may be a return visit to the Phantom Zone before the series is over. Identified as episode 19 “Dominion”. 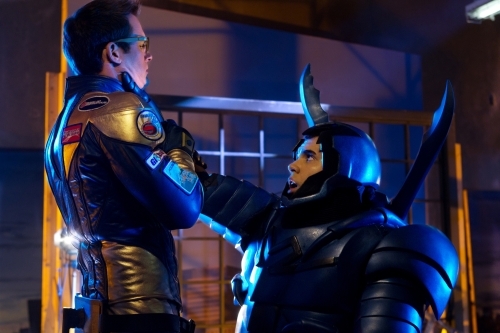 See episode description, for Dominion, regarding the Phantom Zone and General Slade (Deathstroke). It has been said that Callum Blue would return as Zod. Whether this is the General Zod of the Phantom Zone or the Major Zod of Kandor is unknown. However, it is more likely than not, that this is General Zod of the Phantom Zone, not the Major Zod clone of Kandor. In the Smallville continuity, although it is never shown or mentioned. It is more likely, than not, that Clark and the other members of the JLA have lockers and/or quarters at Watchtower. Or will, as Chloe no longer works from there. 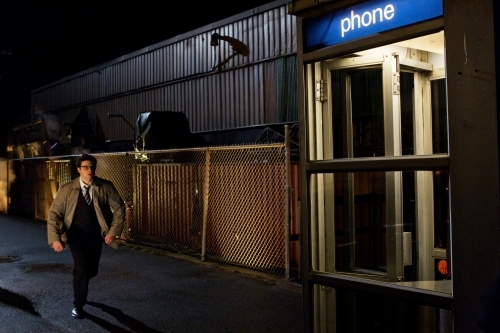 That can be where Clark stores his Blur uniforms, the modified cell-phone he used to talk to Lois in previous seasons, and anything else that he can’t have at the Kent Farm, his apartment (if the Smallville version gets an apartment with Lois), or the Kryptonian Fortress of Solitude. This solution works well with the story, and gets all those prototype costumes out of the way, once he becomes the person he’s destined to become. 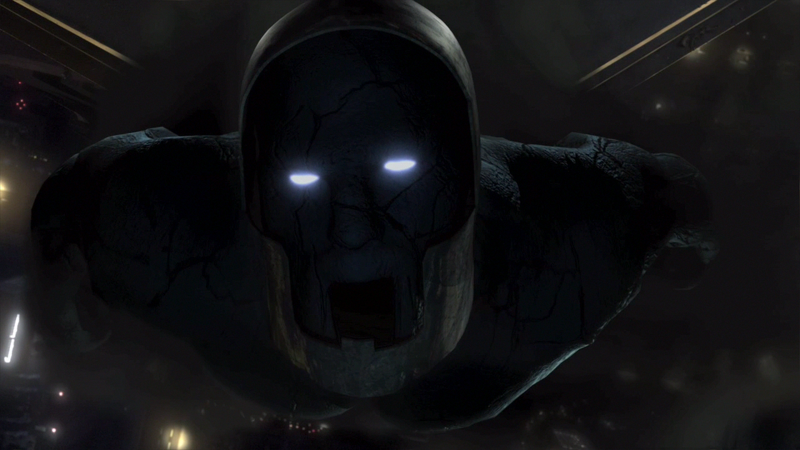 Evil Darkseid villain to finally appear & more in this new set of CW “Smallville” season 10 spoilers. Kristin over at E! Online recently revealed a couple small spoilers of what we can expect to see in the upcoming episodes of Smaville’s 10th and reported final season. She revealed something about Chloe’s return,Clark’s glasses,and the appearance of the dangerous Darkseid character. First, she said that when Chloe returns, she will definitely be friends with Clark because some fan asked if they would still be friends. Clark is also going to get his glasses,soon. Finally,later on in the season, that dangerous,evil Darkseid character is going to appear to wreak some more havoc on the city,so that shoud be pretty interesting. Smallville offers an exciting glimpse of what’s to come for Clark Kent in the show’s final season with the October 8 return of V’s Laura Vandervoort as Clark’s cousin Kara, who has been MIA for almost two years. “Kara returns in a very heroic way,” Laura said. “When I found out this could be my last episode, I thought it would be great to see a quick glimpse of her in the uniform before she takes off.” Lucky Laura’s getting her wish! “You really see her as Supergirl,” says exec producer Kelly Souders. “Not the whole outfit, but her wardrobe will have evolved even a little more than Clark’s. Watch for Kara to don her new look for a photo shoot after she becomes a media darling following a heroic save that reveals her flying capabilities to the world, so she has to take on the alter ego of Linda Lee Danvers . To protect her superhero identity. “You’ll see Kara in the (brunette) wig and glasses (as) a bit of an homage to her other identity from the comics, Linda Lee Danvers,” Laura says. Chloe To Become the New Dr. Fate? 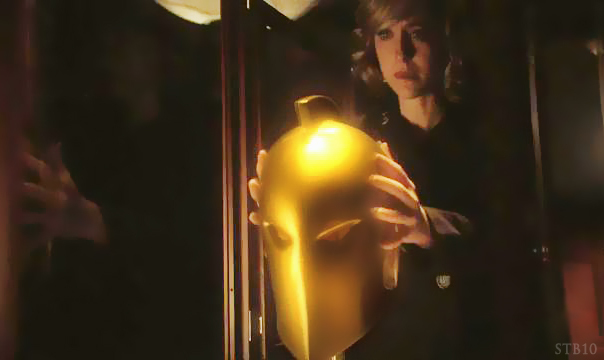 Chloe will definitely wear Dr. Fate’s helmet in Season 10. OK, Chloe will not be the new Dr. Fate! This episode explains why there are no records of Chloe Sullivan in the future. She used her hacking skills to erase all information about herself before she disappears. This closes the circle about why the Legion did not know anything about her when they came from the future to fight Brainiac in Legion. Rick Flag of the Suicide Squad (part of Checkmate) claims Chloe wasn’t kidnapped, but that she traded herself in to save Oliver. But she downed a cyanide pill, he claims that she’s dead. After Chloe went away, all the records of her existence disappeared, making it seem like Chloe Sullivan was never born. 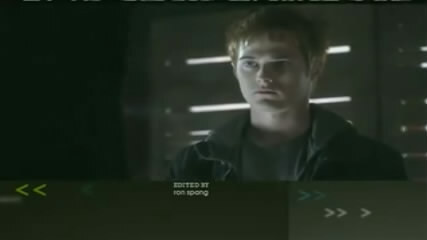 Tess revealed that Chloe asked her help to reset the Watchtower computers so nobody could find her and later Oliver learned that Chloe killed herself with a cyanide pill to protect him from Rick Flag. Clark and Oliver came to the conclusion that she’d actually faked her own death after finding a cyanide antidote in her apartment and then Clark realized that after seeing the future, Chloe had planned her departure for unknown reasons. Lionel Luthor returns to Smallville. 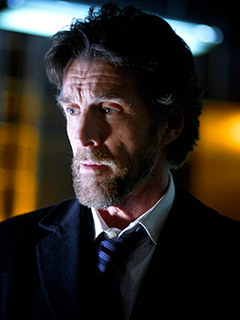 Michael Ausiello with EW has disclosed that John Glover will be returning to Smallville to reprise his role as Lionel Luthor. This may be the closest thing to a Michael Rosenbaum comeback we get. Michael Glover will be returning to appear in a flashback sequence, in which Tess Mercer is revealed to be the half-sister of Lex Luthor. 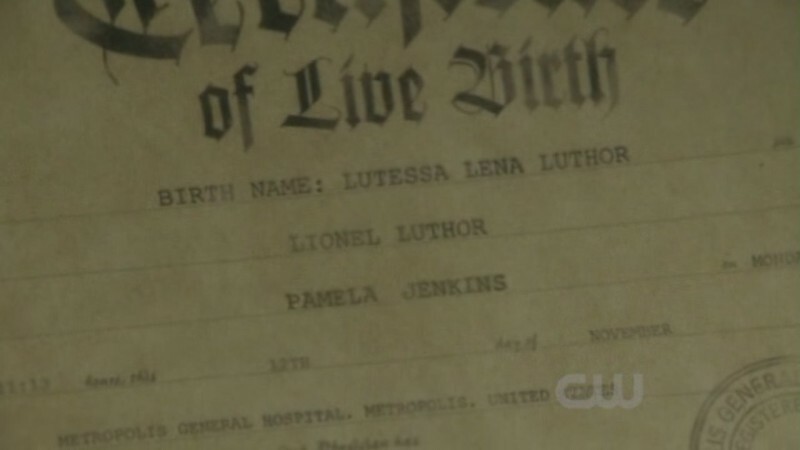 Lionel Luthor is Tess Luthor’s father. Lois Lane’s family is making a return visit to Smallville! 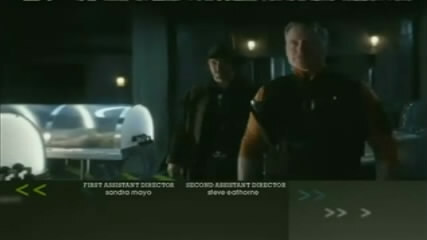 General Sam Lane (Michael Ironside) and Lucy Lane (Peyton List), the father and wild-child sister of Lois (Erica Durance), are set to return in a late-October episode, TVGuide.com has learned exclusively. General Lane and Lucy were last seen in separate episodes during Season 4. 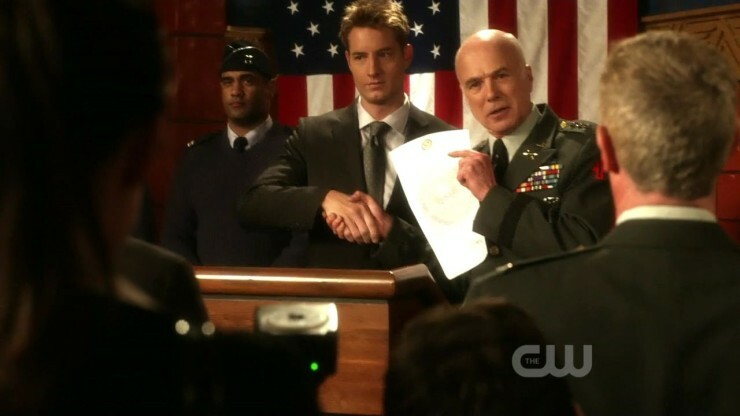 The General, however, has been mentioned numerous times, including last season when Lois called to discuss her wedding to Clark (Tom Welling) while under a persuasive spell. Ironside, 60, has appeared in such films as Top Gun, Total Recall and Starship Troopers, and he’s voiced Darkseid (who happens to be Season 10’s villain) in the Justice League and Superman animated series. List, 24, recently starred on ABC’s Flashforward and recurs as Jane Sterling on Mad Men. There are no details about the reason for the family visit, but there is hopeful speculation that it could also lead to the return of Lex Luthor (Michael Rosenbaum) since the general works for Luthor in the comic books. It has been revealed that Tess Mercer is the half-sister of Lex Luthor, and that Lionel Luthor is her father! And her real name is Lutessa Lena Luthor, since she was adopted by the Mercers, she goes by the name Tess Mercer. To conceal the fact that she is a Luthor! My Previous entry regarding Tess and the possibility of her being a half-sister is below. -She could be the clone of the real Tess who died in Salvation. -She could be the female clone of Lex Luthor. -She could be his sister and her real name is Lena Luthor or Lena Thorul. -She could be a Female Fury who was planted on Earth years ago. -She could be revealed to be a street girl named Mercy Graves. Lena Luthor is the long, lost sister of Lex Luthor. That’s been the plan all along. Tess and Lex both have the same hair color. Lex’s sister may have been long lost, but he had a lock of her hair, hidden, since he was a child. But Lex once had his brother Julian Luthor cloned, and named him Gabriel Grant. Lex had Lena cloned, and named her Tess Mercer. She was created at Cadmus Labs, like the clones of Julian, and memories implanted using the mind-prober ray from Project Intercept. Or Tess Mercer could be a female clone of Lex, thats why Tess comes across as a female Lex. Also, Lex had her engineered, to follow certain directives, whose commands are encoded directly into her using the mind-probe from Project Intercept. Either way, Tess Mercer died at Metropolis Medical Center, and her body was retrieved by Granny Goodness. Another clone of Tess Mercer was created, and her memories copied by the mind-prober from Project Intercept. The body had to be retrieved within a certain amount of time, in order to scan her memory engrams, and convert that into computer code in the mind-prober, then back into memory engrams, which are then impressed onto the brain of the Tess clone with the mind-prober. This Tess clone has the nano-cameras in the eyes, and the chip implanted in her skull, just like the previous Mercer did, till Lana informed her. She is the perfect spy for Lex, because she doesn’t even know that she is a spy. She is an involuntary-spy. Tess Mercer is alive, but visibly affected with scars on his face, although she might not be the same Tess Mercer. The scars on the Tess Mercer that died in Salvation, may have been copied onto a fresh clone, a new Tess Mercer. Whatever Tess Mercer’s secret is, it may have to do with the close connection she has with Granny Goodness. In the comics, Granny Goodness had a dog, named Mercy. That may be a clue, to Mercer’s relationship with her. 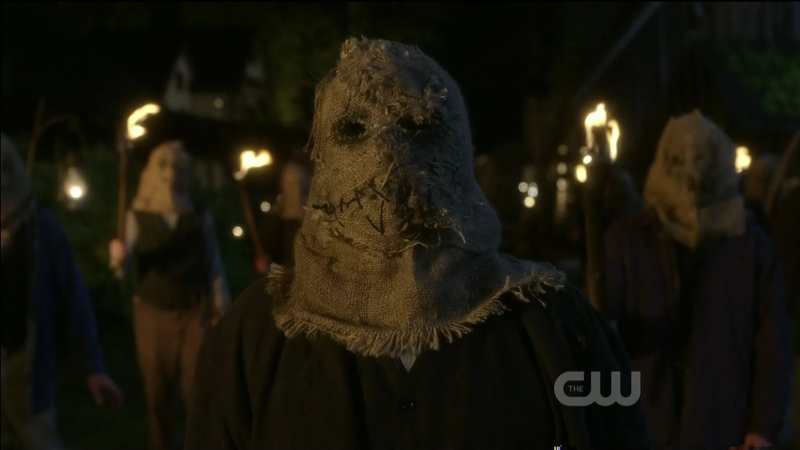 Super Returning Characters: Jonathan Kent (played by John Schneider, who surprised fans by showing up to the panel) will return, along with Brainiac (James Marsters), Kara (Laura Vandervoort) Carter Hall (Michael Shanks) and Plastique (Jessica Parker Kennedy), who has become a member of the Suicide Squad. Peterson also said they’re in discussions to get Lionel Luther (John Glover) back on the series. And as for his progeny, Lex (Michael Rosenbaum), the producers said the door was always open. Super New Characters: Besides Granny Goodness, who appeared in the finale, and Darkseid, along with his harbingers, viewers will meet Rick Flag, a member of the Suicide Squad. Also, Geoff Johns, who wrote “Absolute Justice” last season, will be doing a Booster Gold and Blue Beetle episode that will feature Jaime Reyes’ Blue Beetle, Skeets, and possibly Ted Kord. 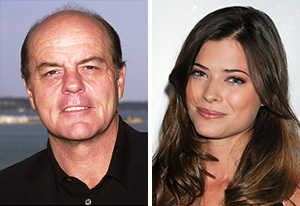 General Sam Lane (Michael Ironside) and Lucy Lane (Peyton List), Lois Lane’s wild-child sister, are both returniing to Smallville. 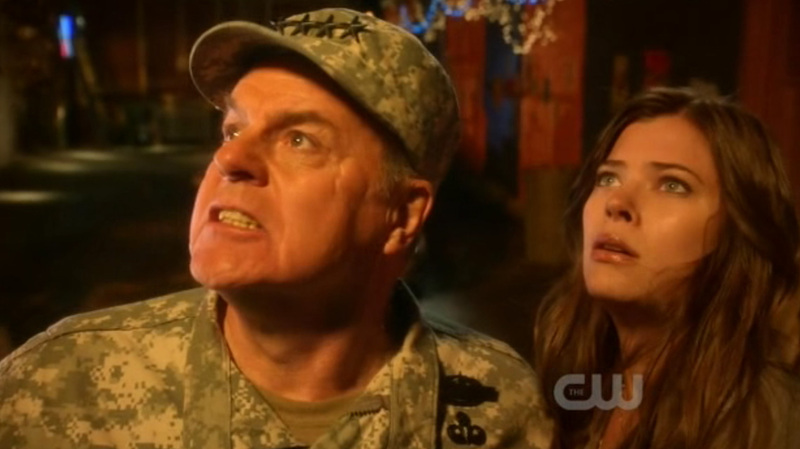 General Lane and Lucy were last seen in separate episodes during Season 4. 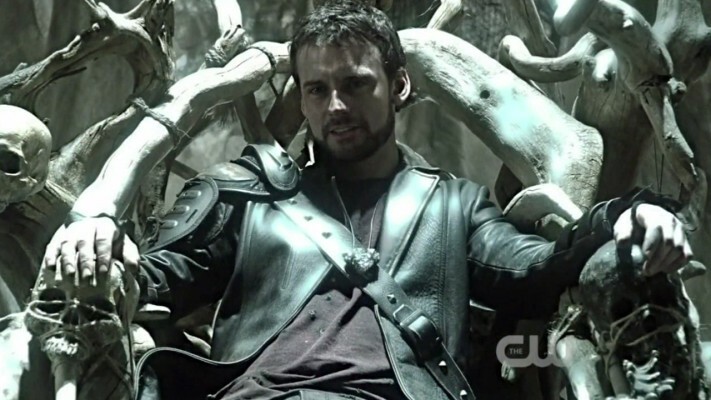 The General, however, has been mentioned numberous times, including last season when Lois called to discuss her wedding to Clark (Tom Welling) while under a persuasive spell. Season 10 will have 5 cast members, the smallest of any season, most likely to save money, to bring back former cast members from previous seasons as guest stars. 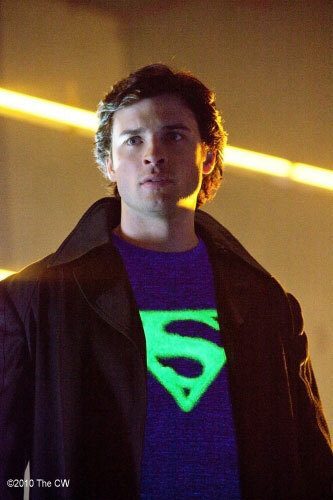 Tom Welling wants Michael Rosenbaum (Lex Luthor) and Kristin Kreuk (Lana Lang) back, while executive producers, Brian Peterson & Kelly Souders, want John Glover (Lionel Luthor) back. Although Allison Mack could be appearing less this season, it has been said that there are 5 cast members this season, and that Allison Mack is one of them. 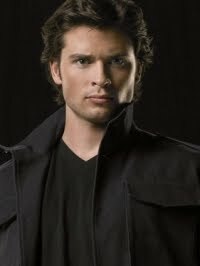 The others being Tom Welling (also a full executive producer), Erica Durance, and Cassidy Freeman and Justin Hartley. The season villain may not be appearing right away, but other characters working for Darkseid may appear sooner. 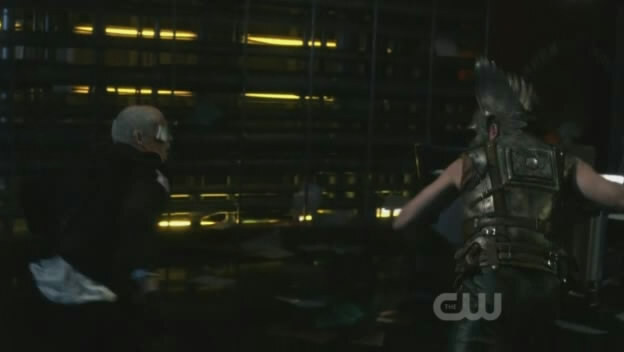 In the Season 9 Finale, it seems Green Arrow was captured by Darkseid’s parademons, and Tess Mercer’s body was probably taken by Granny Goodness, the “knitting lady” to Apokolips, then resurrected by Darkseid. What I wonder, is the Tess Mercer that emerges, going to be the same Tess Mercer, or will she be infected with the anti-life equation, becoming one of his minions. And if the Season 10 villain is Darkseid, then they will have to have Kalibak (Darkseid’s son) and Desaad (Darkseid’s chief evil scientist). Keri Lynn Pratt is set to return as Cat Grant. I don’t know that she will be a regular, I just know that so far, the lineup of regulars are Tom Welling, Erica Durance, Cassidy Freeman and Justin Hartley. With the exception of last year, the normal lineup consist of 7 people, last year there were only 6. I think even though Allison Mack will be in a limited number of episodes, she may still be in the credits as a regular. After all, she has been there, since the show started. And a lineup of 4 is just to small. So I think Allison Mack will remain in the credits (dispite her being in a limited number of episodes), and I think that Keri Lynn Pratt as Cat Grant will be a regular. However, this is just my opinion, and I could be wrong. But why don’t we just wait and see if I am. I think I’m right, because I think that would be better for the show. But again, that is just my opinion. On March 4, 2010, The CW announced that Smallville would be back for its tenth and final season, which will consist of 22 episodes. 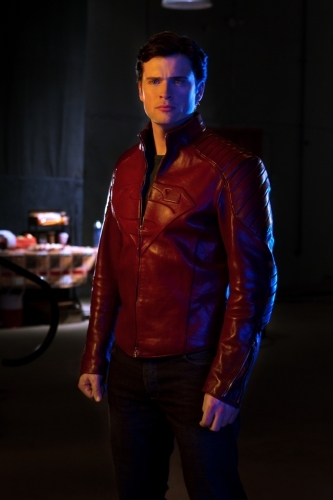 Tom Welling, Erica Durance, Cassidy Freeman, Callum Blue, and Justin Hartley were the only regular cast members from the previous season that were contracted for the tenth season; although Blue was not picked up for the second year of his deal. As Allison Mack’s contract was reportedly not renewed before the end of season nine, her status was in question. To put doubts to rest, executive producer Brian Peterson told Entertainment Weekly’s Michael Ausiello that he was “very optimistic” that Allison Mack would be back. The studio’s official press release was presented on May 20, 2010 and confirmed that Smallville would be remaining at its Friday, 8 p.m. time slot. 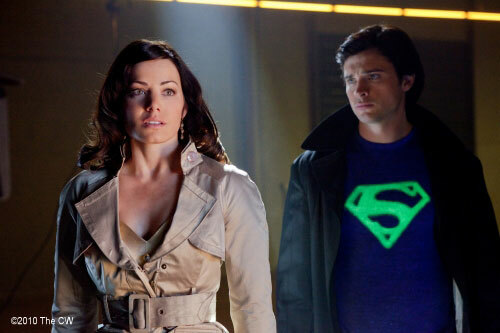 It also revealed that Smallville would be reteaming with Supernatural, a series that was originally slotted just behind Smallville on Thursday nights for four seasons. The press release did not list Mack in the list of stars. On May 21, 2010, Mack released a statement confirming that she would not return as a series regular, but would return for multiple episodes to wind up her storyline. However, at the 2010 Comic-Con, Peterson stated that, despite her long absence and limited episode count, Mack would remain a series regular. 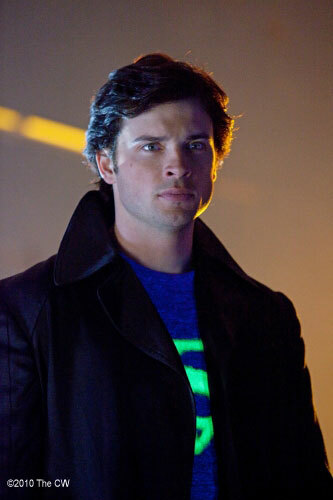 Tom Welling, who served as a part-time producer for season nine, was announced as a full executive producer for season ten. 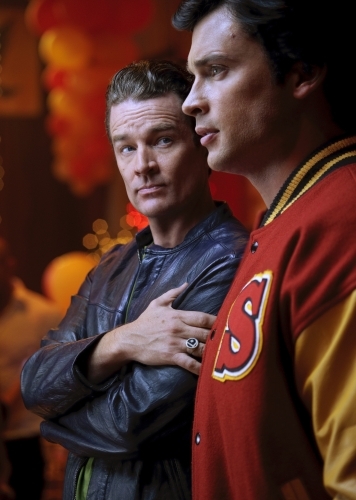 Welling is also set to direct two episodes this season, and Justin Hartley will be directing one episode. With this being the show’s final season, plans began to bring back previous cast members for at least one appearance. Welling has expressed his interest in having Annette O’Toole (Martha Kent), John Schneider (Jonathan Kent), Michael Rosenbaum (Lex Luthor), Kristin Kreuk (Lana Lang), and Michael McKean (Perry White) return. 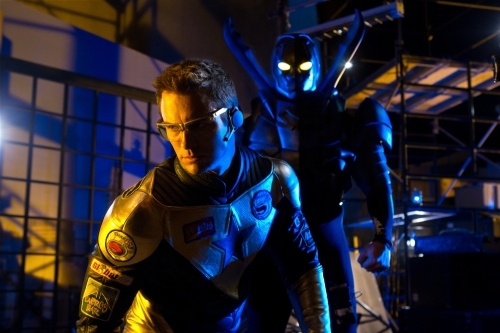 Welling even stated he is doing “everything [he] can to get Michael Rosenbaum back”. For Welling, Rosenbaum is the only person he can see portraying Lex Luthor on the series. He said that the thing that he sees inspiring Clark to become Superman would be the return of Lex Luthor and the interaction between the two characters because you cannot have Superman without him. At the 2010 Comic-Con, Welling stated that Rosenbaum acknowledged the importance of Lex in the series and wants to return in some degree for the show’s final season, but needs to iron details out. According to Welling, the series will tease early on that Lex will return with the idea of introducing bodies that he could tap into and heal himself later in life. Welling also stated that Lana could possibly have closure by season’s end. It was revealed on June 30, 2010, that John Schneider would be returning for the season premiere, and would ultimately film three total episodes for his return to the series. The producers are also working to bring John Glover back as Lionel Luthor, Lex’s father. Laura Vandervoort, who portrayed Clark’s Kryptonian cousin Kara in season seven would be returning for the season’s third episode. James Marsters is confirmed to be returnning for the series’ 200th episode. Marsters first appeared as Brainiac/Milton Fine in season five and again in season seven. This time, Marsters will be portraying Brainiac 5, the version of Brainiac from the future that the Legion of Super-Heroes created after removing the original version of Brainiac from Chloe’s body in the season eight episode “Legion”. In addition, both Michael Shanks and Jessica Parker Kennedy will return as Hawkman/Carter Hall and Plastique, respectively, in the second episode of season ten. 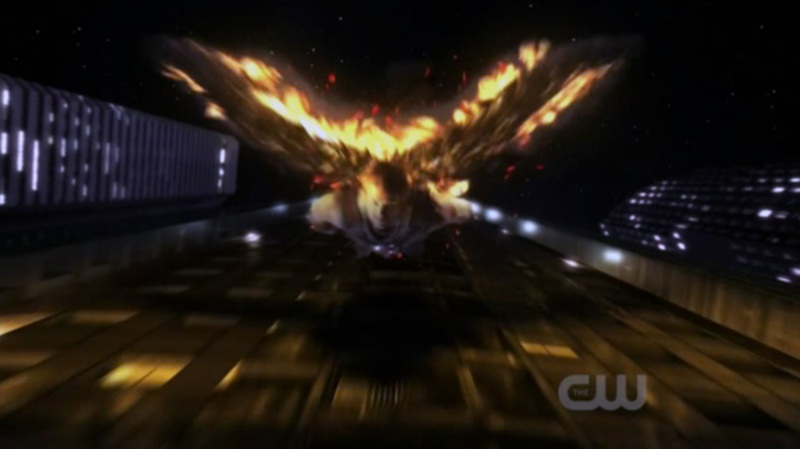 Hawkman made a brief appearance in the season nine finale, while Plastique was last seen in season eight. On August 11, it was announced that Michael Ironside and Peyton List would be returning for a mid-October episode. Ironside previously portrayed Lois’s father, General Sam Lane; while List played Lois’s sister, Lucy. Both characters were last seen in separate season four episodes. On July 22, 2010, Michael Ausiello revealed that Cat Grant, a gossip columnist for the Daily Planet in the comic books, would be appearing as Clark’s new partner during season ten. Ausiello stated that Cat Grant would act more as a “comedic foil” for Clark, and is not intended to interrupt the relationship he has with Lois. Instead, Grant will act as Lois’s professional rival, and is considered by the producers to be her opposite. This season will also see the introductions of villains Granny Goodness, Desaad, and Glorious Godfrey. In addition, Geoff Johns, who previously wrote the introductions for the Legion of Super-Heroes and the Justice Society of America, will write an episode featuring the introduction of Blue Beetle, Booster Gold, and Rick Flag, who is a member of the Suicide Squad. In an interview with Comic Book Resources TV, Johns noted that the version of Blue Beetle will be that of Jaime Reyes, and that Booster Gold will be modeled directly after his comic book counterpart, as far as personality and history. 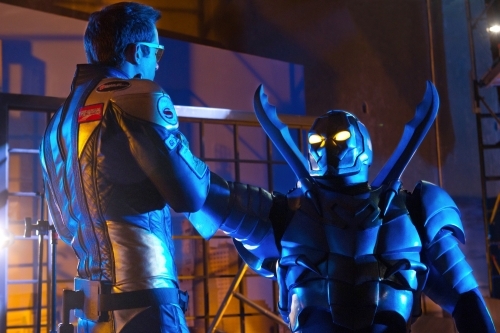 Johns also explained that the episode might also see the introduction of the second Blue Beetle Ted Kord. He admitted that his choice in which comic book character to introduce was based solely on his personal preference, as he is a fan of Blue Beetle and Booster Gold and has a history of writing for those characters. These introductions will come at a time when Clark needs to have interactions with the characters to “propel him foward”. He noted that the two characters embody what Clark needs to learn: being in the public eye and fully accepting his alien heritage. Johns pointed out that Booster Gold is all about being in the spotlight, while Clark is not. At the same time, Blue Beetle is trying to understand the alien technology he has been given. Souders and Peterson revealed that the theme for season ten will be “facing the ghosts of your past and how [the effect of seeing the past] helps you move on in the future”; as such, the return of previous cast members will play into this. 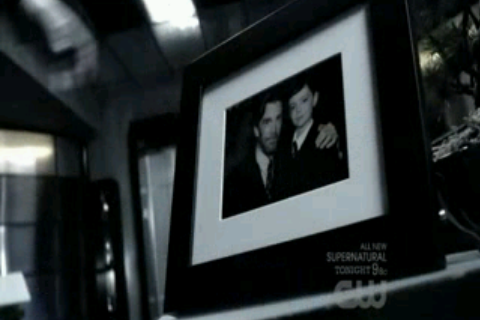 Souders and Peterson have also chosen not to erase Lois’s memory of Clark’s secret, something she discovered in the season nine finale. Instead, Lois will help Clark do what he needs to do to get away and fulfill his destiny without telling him that she knows. The producers explained that there would be “some twists and turns” before Lois tells Clark that she knows. In June, Michael Ausiello confirmed that Tess Mercer will be “reincarnated next season”, after having died in the season nine finale. Initially helping Clark and Oliver at Watchtower, a secret from her past will define whether Tess ultimately ends on the side of good or bad. Chloe’s ending will also be told “in a way that’s fitting for Chloe.” She will “sacrifice” herself for Oliver, who has been informed that she was killed. 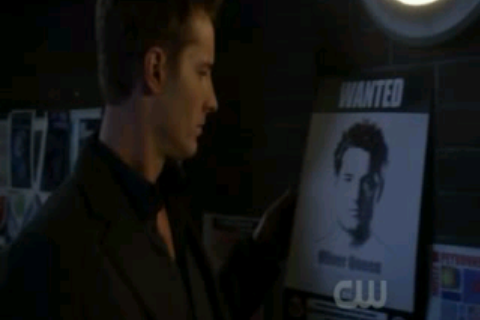 As a result, Oliver will spend much of the season looking for Chloe, trying to find who is behind her murder. 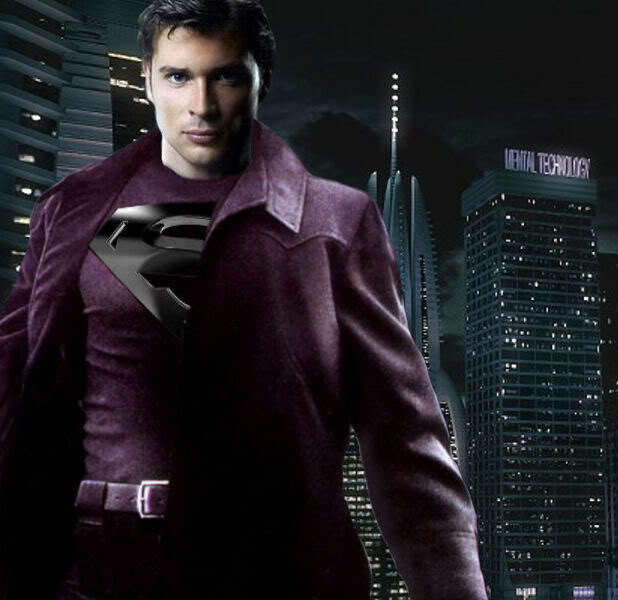 With a glimpse of the iconic Superman costume in the season nine finale, Peterson confirmed that the costume will return and play a more prominent role in the final season, even going as far as to hint that the last scene of Smallville will see Clark wearing it. 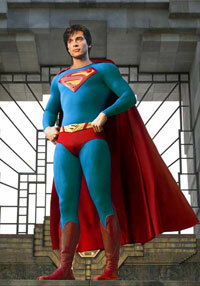 The producers were able to acquire the Superman costume worn by Brandon Routh in Superman Returns. 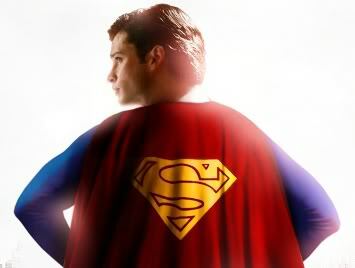 DC Comics offered the suit worn by Christopher Reeve, but Peterson explained, “[it] just didn’t quite fit with our world.” Welling promised long-time viewers that, “Our number one goal this year is to wrap it up in a way that will satisfy the fans and give them hope that Clark has gone on to become Superman.” Executive producer Kelly Souders said that in order for Clark to do this, Clark has to “wrestle” with the internal things that are preventing him from being an “inspirational hope”. Though Clark is still in his “dark hour”, he will become Superman by the end of the season. Peterson explained, “This year… the palette of the show will grow brighter and what he wears… is going to change;” Clark will end up exploring his destiny and work toward his future of becoming a hero. “Our plan right now is a reflection over the 9 years and taking him out of the darkness that we’ve had, with him in the black suit and where he went after Jimmy’s death, and taking him to a place of balancing his Kryptonian side and his human side – which he’s not doing perfectly this year. Possibly, if it happens, it will be in the final scenes of the last episode, or in parts of the last 2 episodes. This would be when the series Smallville goes off the air. And the series will most likely go off the air when this would happen. 1. Star Trek Voyager ended once Voyager got back to 24th century Earth. 2. Star Trek DS9 ended when the Dominion War ended. 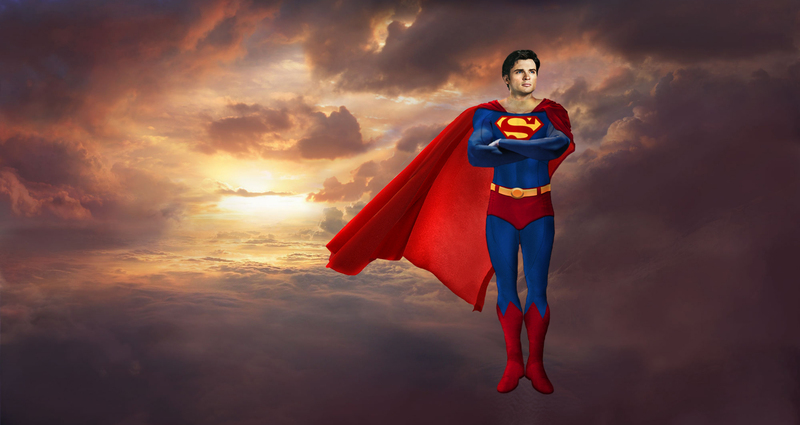 Smallville will end once Clark becomes Superman, as Smallville is about Clark, not Superman. As to his “human side”, that is a psychological result of being raised by his adoptive parents. Physically and genetically, he is fully Kryptonian. Clark’s inability to fly is also a related phychological issue. He don’t think of himself as a Kryptonian. This is the way he is supposed to appear at the Daily Planet. Clark Kent will wear the glasses, and will never be able to fly. Personality Type: Mild-mannered reporter. He will lose his level of confidence to his Kryptonian side, he will become clumsy. The persona that will evolve into Superman. Will wear red-and-blue again, but this time, more closely to the Superman costume. He will get Clark’s confidence and determination. Personality Type: Confident & Heroic. He will learn to fly sometime around the last 2 episodes of season 10. The ending of season 9 could result in a major character leaving the cast. Lets hope not! Based on what Allison Mack has been quoted as saying, and that they don’t yet have a deal for her to return to Smallville. It might be her last season, but for me, Smallville would not be the same without her in it. I know that she likes to blog, so if your reading this Allison, please get them to sign you up for season 10. 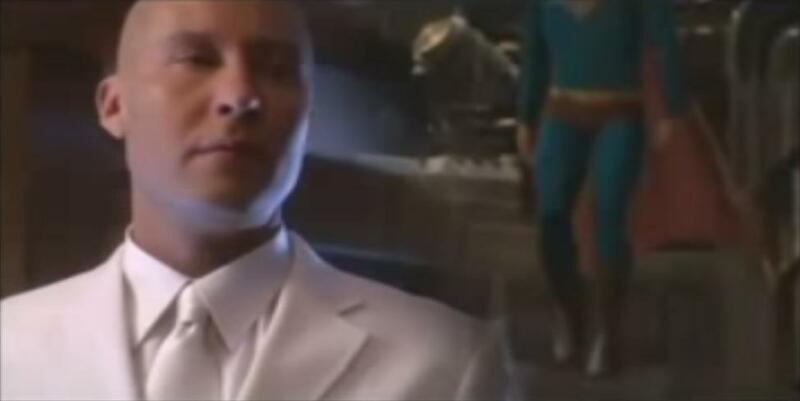 And even though Michael Rosenbaum has left the show as a regular, it would be cool, with the right story, to have him return as Lex Luthor for a few episodes. Update: Allison Mack will be under contract for season 10. 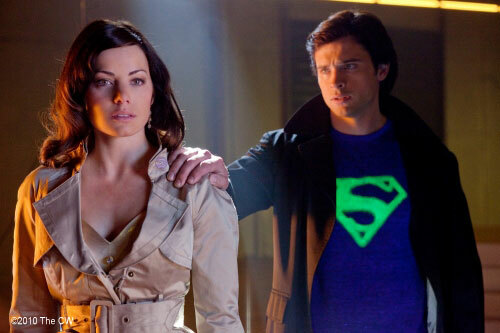 Although we (the general public) don’t know if Erica Durance will be in all 22 episodes next year, sources say we will “probably” see Lois ‘more than usual’ on Smallville next year (during season 10). 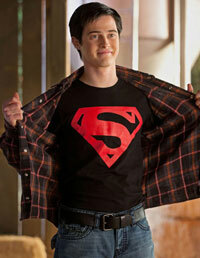 Season 10, will prepare our hero, for his destiny, to be the modern version of Superman, and possibly in the movies. Lois Lane as Wonder Woman? Erica Durance was dressed as Wonder Woman, for episode “S09E13 Warrior”. But she did not appear in the episode dressed like that. Probably because the producers have other plans for that costume, for season 10. And if Wonder Woman is a regular during season 10, it won’t be Erica Durance (Lois Lane) dressed in that costume. If this sounds difficult to believe, it also seemed like that regarding the “Wonder Twins” appearing on Smallville. 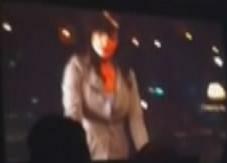 There are pictures of the actors protraying Zan and Jayna ripping open their shirts to reveal a shirt like The Blur’s. 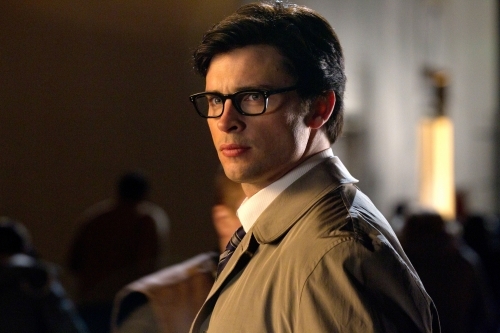 This did not make it into the episode, as the producersof Smallville obviously wanted Tom Welling (Clark Kent) to remain unique in doing this stunt (in S09E13 Warrior). 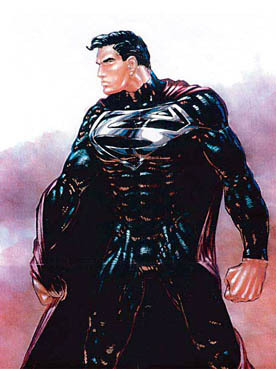 In this picture, Clark’s shirt is still black, however, the Superman crest no longer appears as if written in white chalk. Now it is a solid white, like an iron-on, on his black shirt. And Clark will not be wearing a blue shirt with a neon green stylized Superman “S”. NBC has put in a pilot order for David E. Kelley’s Wonder Woman TV project. The project is described as a reinvention of Wonder Woman – aka Diana Prince – is a vigilante crime fighter in L.A., but also a successful corporate executive and a modern woman trying to balance all of the elements of her extraordinary life. 2. Look for a season-long love triangle with Clark, Lois, and Red-Blue Blur. 3. Chloe, still grieving over Jimmy’s death will immerse herself in all things Watchtowerish. 4. We’ll find out why Clark isn’t flying in a scene with him and Jor-El (the returning Terence Stamp) in the season premiere. 5. Metallo will be in the first 2 episodes, this season. Episode 9.02 or 9.03 focuses on Oliver’s downward spiral. 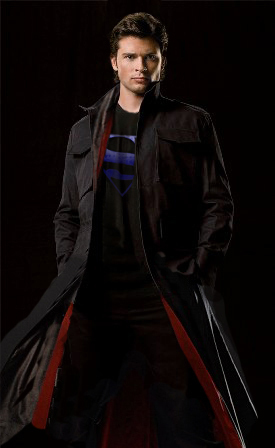 6.Clark is going to be wearing a blackish trenchcoat with a silver “S” logo as he embraces the heroic image that fans of the “red and blue blur” have been placing upon him. 7. According to Justin Hartley (Oliver Queen/Green Arrow), a bit of tension builds between Oliver and Clark over the fact that Clark is leaving his “S” symbol around following a rescue he does. Why, Oliver wants to know, does Clark need the attention? 8. Callum Blue, who plays Zod, provided some very interesting information. The Zod we meet is an earlier version of the villain from Superman II. This is MAJOR Zod, who has come to earth, with some segment of an army, from Krypton’s PAST. He doesn’t know who Clark is, has no idea where he is or what is going on. And initially he doesn’t have his powers. 9. The notion that Zod has come from Krypton’s past raises a number of issues, which no one will confirm or deny, though based on facial reaction, one can assume that Jor-El will indeed be appearing on the show. It also raises issues of whether or not this can impact on the timeline. 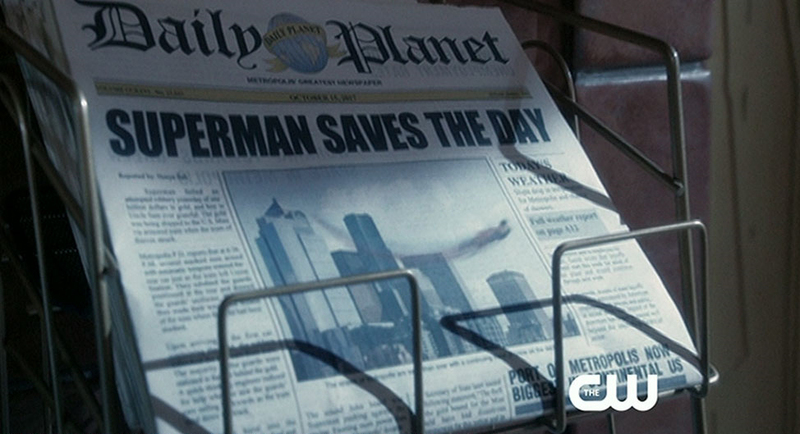 For instance, can Clark somehow save Krypton? If he does, however, that planet’s survival would result in him NOT being sent to earth and ultimately become Superman. 10. It was conceded that the show will play around with the timeline to tell some of the storylines, though it won’t be a constant time-shifting adventure ala Lost. 12. Alessandro Juliani will reprise his role as Dr. Emil Hamilton for several episodes this season. 13. Alison Mack will be directing another episode this season, and Tom Welling, who is now a co-executive producer on the show, will be directing two episodes as well. 14. Geoff Johns will be writing a Justice Society episode of the show. 15. It seems that teen angst truly is being left behind, the focus turning fully towards the next step in Clark’s embracing his ultimate destiny. 16. Story-wise, Peterson is not approaching this seasoon as Smallville’s last. 17. Peterson recently had dinner with Michael Rosenbaum, so maybe Lex is still alive! 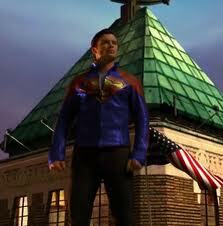 Please see my Blogger article on Smallville at http://griffyclan007.blogspot.com/ as Blogger will be my primary blog. This is the season premier, which features General Zod, (Blue) in the flesh. You are currently browsing the archives for the Smallville Spoilers category.